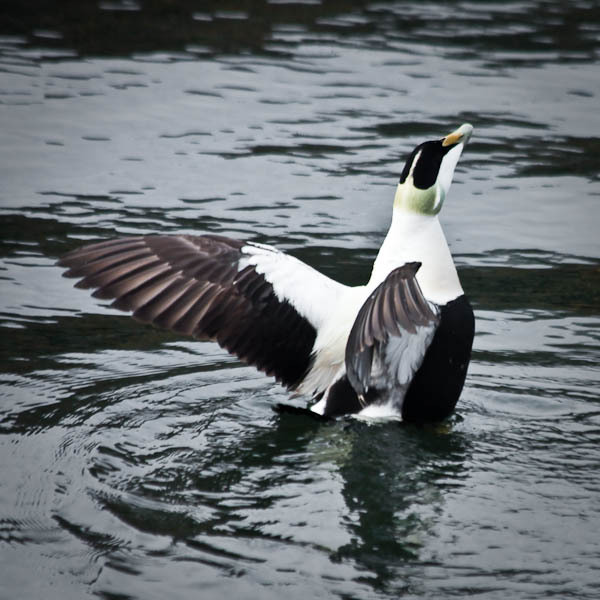 To my shame I didn’t actually know it was an Eider. I wondered if it was a black and white duck? I suppose it is a kind of black and white duck. This is a male, the females are brown. A snatched shot from the Gourock to Dunoon ferry just before it left yesterday morning.